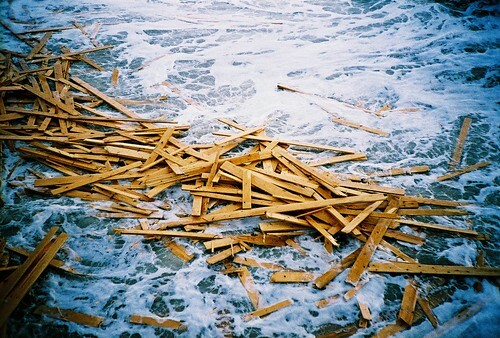 you're driftwood, originally uploaded by lomokev. Sometimes nature makes its own version of an Anthony Gormley installation. In this case, it's waaaay better... (look at some other of Lomokev's photos from this link, they're really rather good).